This detailed biography provides an extensive look into the background of a man variously described as a dandy, an unkempt wanderer, and a gifted artist. Above all, it is clear that John James Audubon was a man of many talents, revealed here in his own words. Paperback. 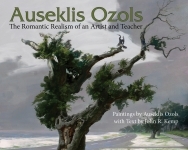 In this fascinating biography, author John Kemp uses Ozols’ own paintings to reveal the life of the talented artist and teacher dedicated to passing down the lessons of the great painters of the past. For fourteen years Pelican has published the leading bed and breakfast guide to Australia. This definitive guide includes thoroughly updated prices, color photographs of each establishment, and general travel guidelines to assist you in finding the right location for your down-under holiday. From traditional bed and breakfasts to homestays, farmstays, guesthouses, and boutique hotels, The Australia Bed & Breakfast Guide offers a thorough listing of friendly alternatives to traditional tourist stays. Combining the influences of Spain, Africa, and the Caribbean, Cuban cuisine is as much about family as it is about flavor. This traditional collection of Cuban recipes includes a range of favorite dishes—more than one hundred in all—to provide a culinary tour of the classic Cuban foods from starters and salads to mains, meats, and desserts. This true crime book chronicles several murders that occurred in the South from the 1880s through the early 1930s. While many of the mentioned crimes achieved national notoriety, others remain buried in obscurity. Through meticulous research and astute conjectures, Keven McQueen attempts to unravel the mysteries and reveal the truth behind each chilling case. It’s time to go back to school in this adorable sequel to The Picky Little Witch! Mama Witch takes the Picky Little Witch to Witches R’ Us for some “Back to Ghoul” supplies, only to find out that they don’t agree on anything at all. The cape that Mama Witch picks out is dark as night, the pointy shoes have a hundred buttons, and the splintery pine broom is perfect for helping little witches grow up to be mean and scary. But the Picky Little Witch would much prefer glitter, sequins, and feathered hats to Mama Witch’s sensible but boring suggestions. Is there anything they can agree on? True reminiscences and humor blend harmoniously in this fun book about an Arkansas boy and his experiences. Press Woodruff describes himself as a man “whose life has been one of calamities, hard luck, accidents, and fun.” What perfect ingredients to create this backwoods humorist! How would one begin to prepare such Balkan delights as chorba, cashcaval, borsh, ghiveci, and papanashi? Vladimir Mirodan, a native Romanian, introduces the reader to a world of cooking primarily unknown to the West. Baptists nationwide offer their favorite recipes to this unique cookbook compiled by the students, faculty, and alumni of the New Orleans Baptist Theological Seminary. 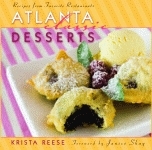 The collective contributions have created a guide that provides the reader with culinary solutions for nearly any type of event.